Excerpts of the Geneva Conventions? JFK’s address to the nation re civil rights in 1963? John Lewis’s speech Aug ’63 March on Washington? Excerpts from Declaration of Sentiments from Seneca Falls? Beth and I agree that these texts should be added to the list. We already have excerpts from the Vietnamese Declaration of Independence, Churchill’s Iron Curtain speech, the Truman Doctrine, and JFK’s speech on civil rights of 1963 in the History Blueprint Cold War unit. We have designed literacy supports for some of these in the unit. The only document we are unsure about is the Geneva Convention. Would this be the part about universal human rights? I also suggest pairing some of these texts with another source from the same time period which expresses the opposite point of view. There’s a problem with giving too many inspiring and wise texts to teenagers. They take the ideas for granted and often don’t see that the true significance of the text is that it originally stated a position that contradicted the existing status-quo and the belief systems of most people. If the teacher begins by giving them a text that expresses beliefs and practices that are condemned today, and then gives them the inspiring and transformational text, students will gain insight into the significance of the text as well as understanding the perspective that the text was opposing. ‘Friends and fellow citizens: I stand before you tonight under indictment for the alleged crime of having voted at the last presidential election, without having a lawful right to vote. It shall be my work this evening to prove to you that in thus voting, I not only committed no crime, but, instead, simply exercised my citizen’s rights, guaranteed to me and all United States citizens by the National Constitution, beyond the power of any state to deny. It was we, the people; not we, the white male citizens; nor yet we, the male citizens; but we, the whole people, who formed the Union. And we formed it, not to give the blessings of liberty, but to secure them; not to the half of ourselves and the half of our posterity, but to the whole people – women as well as men. And it is a downright mockery to talk to women of their enjoyment of the blessings of liberty while they are denied the use of the only means of securing them provided by this democratic-republican government – the ballot. . . .
Jed Larsen chose this text for several reasons: the woman suffrage movement is one of the standards in the 8th-grade US History standards; Anthony makes a forceful case for woman suffrage based on comparison to the constitution; and the text is logically structured and well-written. He says that it is a text his class turns to again and again as they study related issues later in the course. This short excerpt gives students evidence about the 19th-century cult of true womanhood and Victorian domesticity, as well as expressing counterarguments to Anthony’s text. Larsen reports that his students are shocked that a woman would have argued against woman suffrage. It is that shock that prepares them to read the inspiring and wise text with some understanding of its historical context. If you have suggestions to add to the “Texts Worthy of Close Reading by Grade Level,” please add them in a comment. Jed Larsen teaches 7th- and 8th-grade history at Kit Carson Middle School in Sacramento. He is a teacher leader for the History Project at UC Davis. 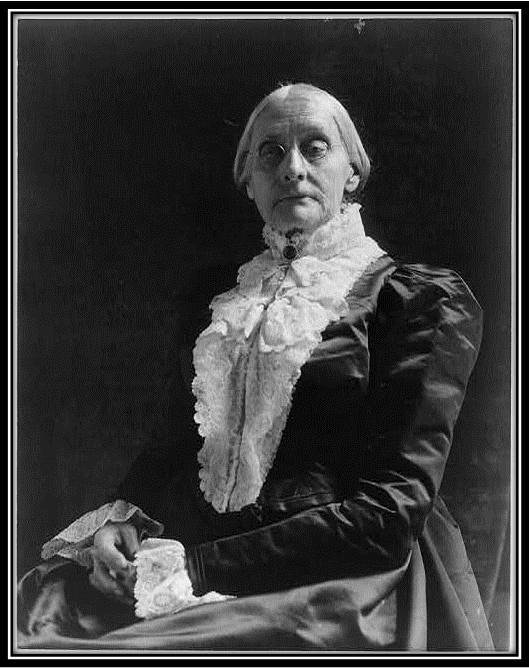 Susan B. Anthony, “Women’s Right to Vote, 1873,” Internet Modern History Sourcebook, edited by Paul Halsall, 1997, http://www.fordham.edu/halsall/mod/1873anthony.asp. Sarah Josepha Hale, “How American Women Should Vote,” Editor’s Table, Godey’s Lady’s Book, April 1852; Mothers in Uncle Tom’s America website, edited by Maureen E. Riedy, University of Virginia, August, 1997, http://xroads.virginia.edu/~ma97/riedy/womvote.html. Francis Benjamin Johnston, Susan B. (Susan Brownell) Anthony, between ca. 1890 and ca. 1910, The Library of Congress, http://www.loc.gov/pictures/item/2001704086/. 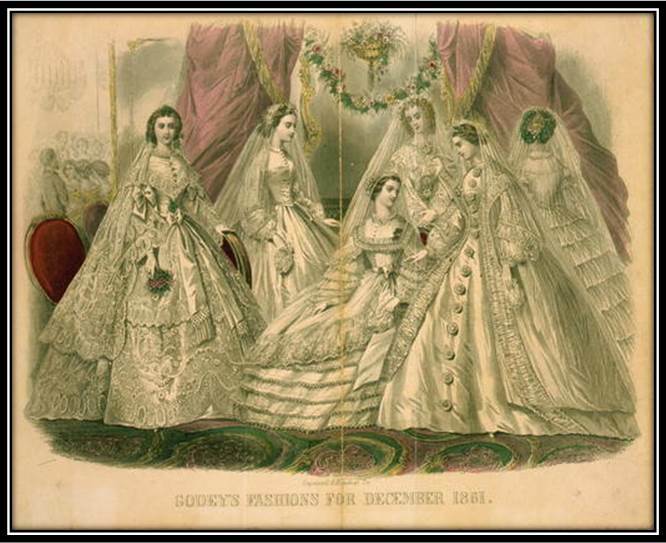 Godey’s Fashions for December 1861, Godey’s Lady’s Book, Library of Congress, http://www.loc.gov/pictures/item/97511046/. Marie Van Vorst and Mrs.John Van Vorst.. A bonus: Theodore Roosevelt wrote the introduction. I use it to teach middle schoolers about the 2nd Industrial Revolution. Thanks to you Shennan for the great service! And to Bandi for a wonderful suggestion.